Jesus encouraged His disciples to be as “wise as serpents, and innocent as doves” (Matthew 10:16). As Christians, we should strive to live wisely. And wise living includes how we spend our money. Budgeting is one of those things that is extremely simple, but can be very difficult to walk out. And it all comes down to spending less than you make. Obviously, there’s more to it (as we’ll get into), but we need to remember that the bottom line is that we need to live within our means. I’m not trying to tell you how much you should spend where, but that you need to be aware of how much you spend in each area of life, and ask yourself if that lines up with what you value. The main concept that helps stay within your budget is realizing that some of your expenses are considered “fixed” while others are “variable”. Fixed meaning that there’s very little you can do to change the amount you spend, while you have a lot more control over your variable expenses. Before getting into how to handle both of these categories, we need to make sure that we don’t allow these terms to enable us to have a “victim mentality” with our finances. Even our “fixed” expenses can be changed. In the “fixed” list I include things such as internet, car insurance, tv, etc. I consider these “fixed” because normally we sign contracts or have some type of commitment for these expenses. However, we can all try to find a cheaper deal for our car insurance, we can all choose to not have tv, we can all choose to have slower internet, or no internet at all, etc. We use terms “fixed” and “variable” as they represent how we can make decisions on a day-to-day basis, but let us not forget that no one is forcing us to spend any money at all - these are all our choices, and we need to remember that we are responsible for the decisions we make. I like to start with “fixed” expenses because these are the ones that will have the biggest impact on your financial stability. Personally, I like to keep my fixed expenses at a minimum. This allows me more freedom to choose what I do in day-to-day life. Because of this mentality, my wife and I have made decisions such as not to have TV (even with a two year old kid). The second category of expenses in our lives is “variable” expenses. These are the ones you have more control over in your day-to-day decision making. In each of the example categories below, we can choose to buy cheaper, more expensively, or even not at all in some cases. I’ve personally seen my wife spend exceeding less than the average family on things such as groceries and clothing by simply buying less pre-prepared food, and finding which stores have the best deals. It’s methods like those that allow these categories to be more flexible in their total expenses. We have also personally chosen not to drive some places in order to save on gas for some months, or to not eat out as frequently. All of the categories above, and many more, can be adjusted as needed. When it comes down to it, the most important thing in your budget is to track your expenses. Regardless of whether you categorize based on fixed and variable, or other methods, tracking is what allows you to see how much money you are spending in each area of your life. When you properly track your expenses, you are able to see where your money is going, and then take corrective action. Without tracking your expenses, you will never be able to see if your money is actually going towards the areas of life you want to spend money on. It gives you the clarity to make smaller decisions throughout your day that can have a huge impact on your longterm financial future. I can’t tell you how many problem are solved by simply realizing exactly where your money goes each month. Mint.com - This is the one I personally use, and love. It is specifically good at online transactions because it connects to your bank and brings all your transactions over to their system so you don’t accidentally miss a purchase. It’s not great though if you use a lot of cash (still works, just more work). Dave Ramsey Budgeting Tools - This site is a great resource, especially if you are just getting started. It has both digital and pencil and paper budgeting methods available. Even better, it walks you through exactly how to use them and set up your budget. Or, if you’d prefer a spreadsheet with the categories we listed above, you can click HERE to download the Excel file or HERE to download the PDF. Like with most things in life, good stewardship of our finances is 10% knowledge, and 90% action. You can know all of these things, and have it still be difficult to apply. If you’ve struggled with this (as most of us have) please seek counsel and accountability. We are available to help, so please contact us if you would like help in this area. Otherwise, there are many other great resources and groups to help you in this area as well. Don’t give up. 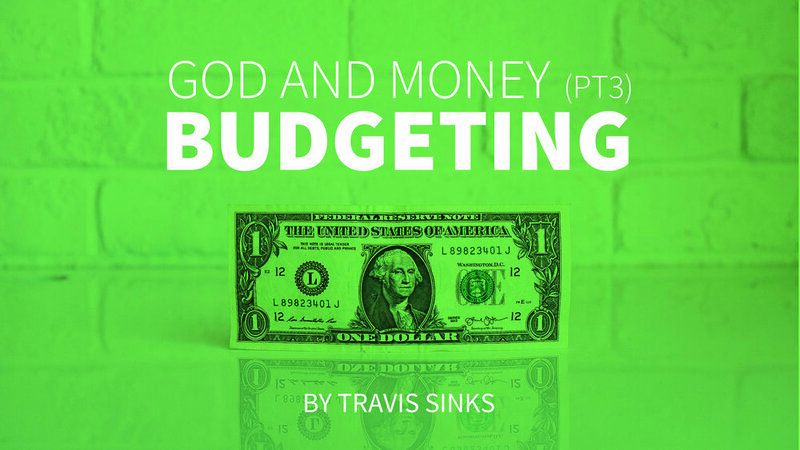 Continue to learn and grow in wisdom regarding your finances and budgeting, and glorify God by stewarding your finances well.